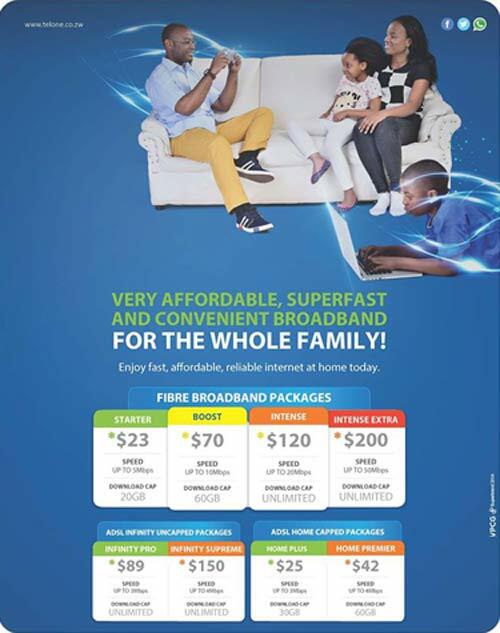 TelOne, Zimbabwe’s State-owned fixed telecoms operator recently lowered the prices of its fibre to the home packages, bringing down the cost of a basic residential fibre connection to $23. This wasn’t the only change, though. Its ADSL lineup has also been revised with the retirement of its $15/ 4GB package. It also increased the speeds and data limits on its two remaining ADSL packages. The $25 Home Plus package now offers 30 GB (with speeds of up to 3 Mbps) up from 20 GB (with speeds of 1 Mbps). The $42 Home Premier package’s data limit has been increased by 10 GB and now offers 60 GB (with speeds of up to 4 Mbps, an increase from 2 Mbps limit). 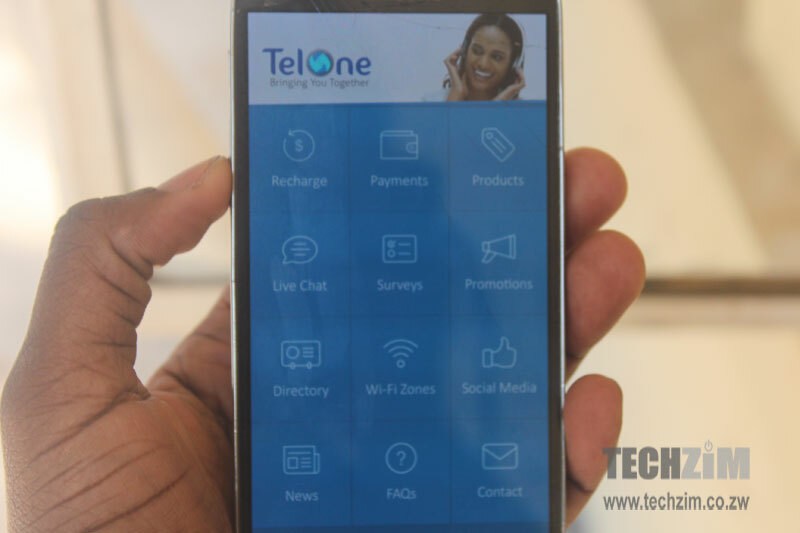 With internet usage patterns having undergone a natural change brought on by the increased consumption of data-intensive content in the form of live and on-demand video as well as images, TelOne’s data allowance increase ought to put smiles on subscribers faces. It also increases TelOne ADSL’s value proposition against expensive data alternatives like mobile broadband and manages to position limited ADSL packages like the $42/60 GB Home Premier option as a suitable option for subscribers looking for an internet package that can accommodate VOD services like Netflix and Showmax. i beg to differ too, have been on telone for over a year and a half now after moving from ZOL wimax & powertel. Have never had any speeds nor connectivity problems. Been trying to log in,at one time it didn’t give my data usage update now I can’t log in for incorrect login details, I change nothing!! Strange! !,but am happy with the speed though..
could this mean that they aren’t billing??? How secure is the telone adsl internet from hackers/poachers? I have been having speeds of around 2.68 for over a year on the $42 package. The problem arises when you want to watch Live tv through your smart box on your tv. If you want to go that route and you live in Harare, Bulawayo or Vic Falls then you lucky to have access to fibre in a few areas. But any where else you have to put up with adsl and constant buffering, as Live Tv ( not Netflix ) only works properly on 10 mbps. ADSL from TelOne is the best value for money on the market currently. With $25/30GB its a give-away. Unfortunately we do different things with data which may mean unpleasant experience for some. Basic movie downloading e.g. on Youtube is flawless and full length movies less than 300MB can be downloaded reasonably fast. Even if EW might have higher speeds, their $20/750MB is far from being cheap/affordable. Great its time for Zol to pay for their terrible customer service!